The water festival, known as Thingyan, lasts four days and ends by bringing in the Burmese New Year. The throwing of water symbolizes a show of blessings and good wishes and usually occurs on the last two days of the festival. 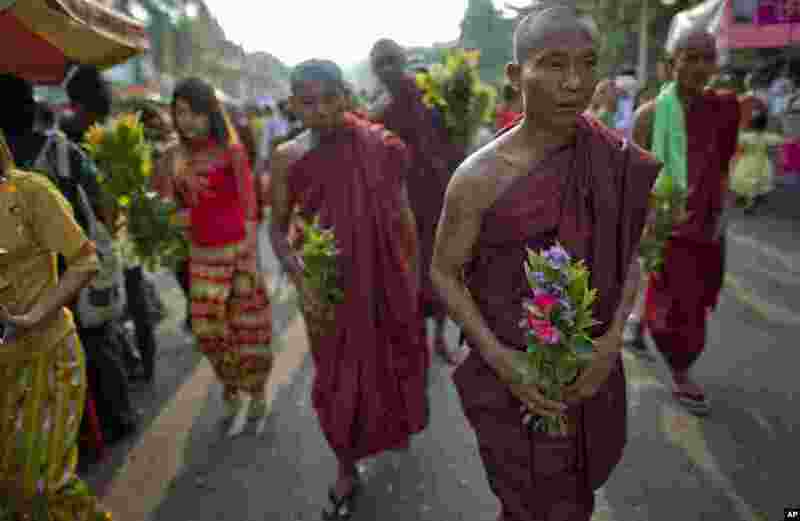 1 Buddhist monks and devotees carry flowers to offer at Shwedagon pagoda in Rangoon, Burma, April 17, 2014. 2 Buddhist devotees pray at Shwedagon pagoda at the end of their annual water festival. The Buddhist devotees participated in religious rituals, marking the Burmese New Year, Rangoon, Burma, April 17, 2014. 4 The four day water festival started with gentle sprinkling of water to cool down but it has gradually evolved into water fights using hoses and water guns and dancing in the street. 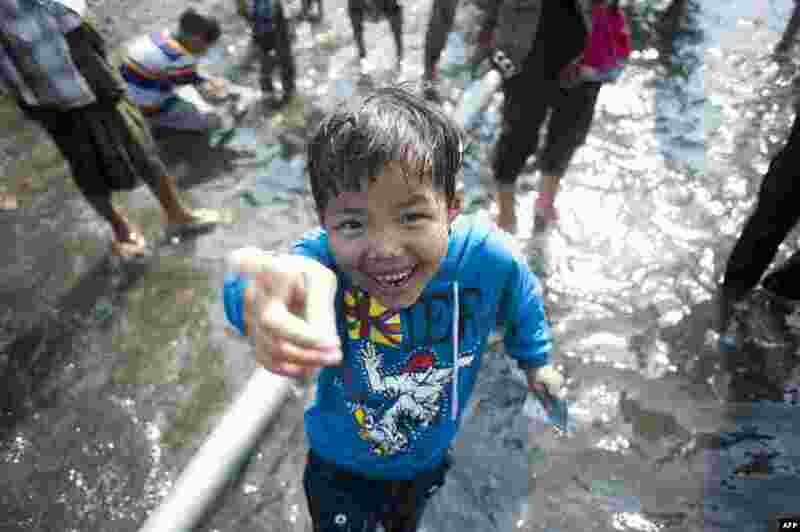 (MoeMoe Htun/VOA). 5 Merry makers spray water at each other during Myanmar's traditional new year Thingyan water festival on Pyi Road in Rangoon, Burma, April 16, 2014. 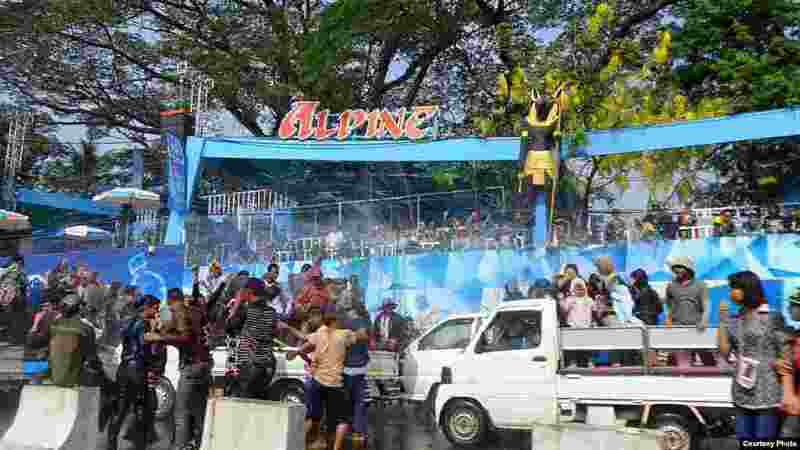 6 People on a truck react after being splashed with water while others shoot back using water guns during the traditional Burmese water festival on Pyi Road in Rangoon, Burma, April 16, 2014. (MoeMoe Htun/VOA). 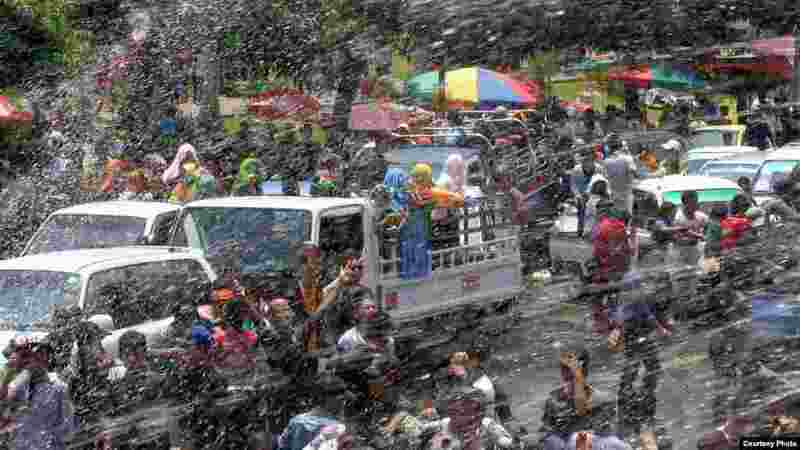 7 Revelers are sprayed with water during Myanmar's traditional water festival in Rangoon, Burma, April 16, 2014. (MoeMoe Htun/VOA). 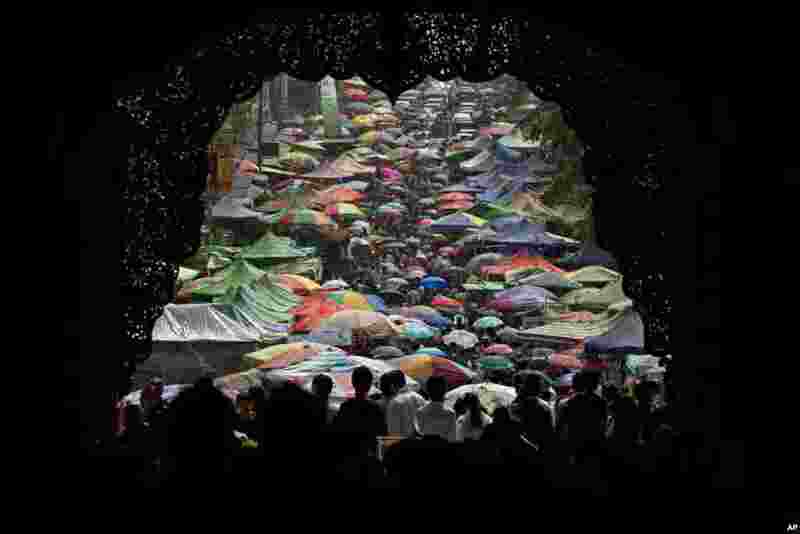 8 People enjoy the last day of the water festival on Pyi Road in Rangoon, Burma, April 16, 2014 (MoeMoe Htun/VOA). 9 A boy takes part in the celebration of Thingyan, the water festival which marks the country's new year in Rangoon, Burma, April 13, 2014.